Guidelines are powerful instruments of assistance to clinicians, capable of extending the clinical roles of nurses and pharmacists. Purchasers and managers perceive them as technological tools guaranteeing treatment quality. Guidelines also offer mechanisms by which doctors and other health care professionals can be made more accountable to their patients. - But how can clinicians tell whether a guideline has authority, and whether or not it should be followed? - Does the law protect doctors who comply with guidelines? - Are guideline developers liable for faulty advice? 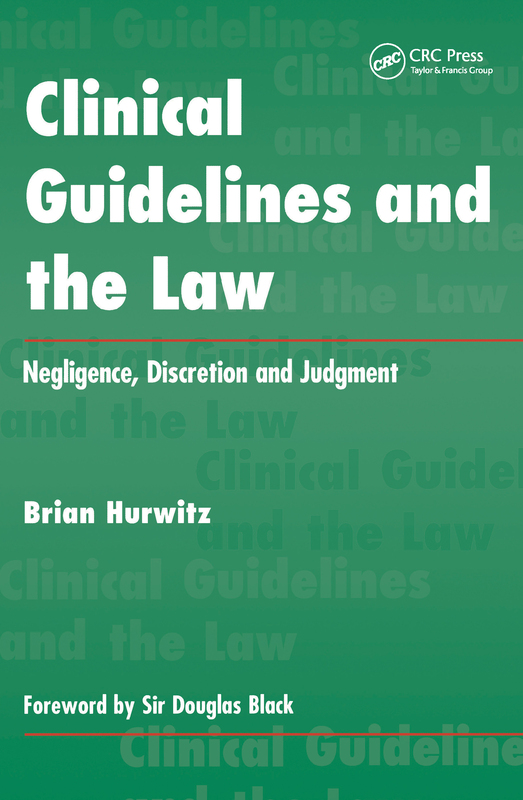 This timely book provides a comprehensive and accessible analysis of the many medical and legal issues arising from the current explosion of clinical guidelines. Featuring clear summaries of relevant UK, US and Commonwealth case law, it is vital reading for all doctors, health care workers, managers, purchasers, patients, and lawyers.